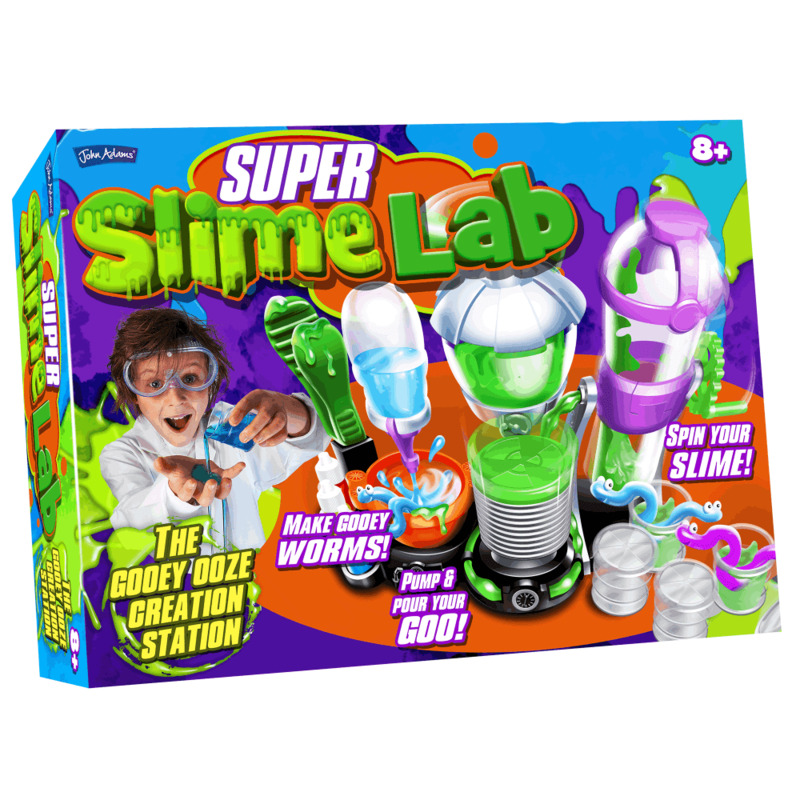 The Super Slime Lab is the ultimate gooey, ooze creation station to make barrels of sticky slime and crazy jelly mutant worms. The creation station is great fun for all slime fans, experiment with colour and make gooey worms. Contents slime lab, slime powder, pearl effect liquid, powdered slime, worm goo, worm setting crystals, mixing spoon, tweezers, goggles, and instruction leaflet.